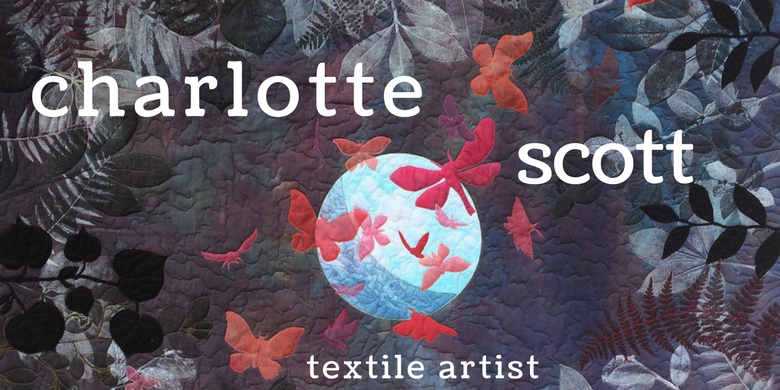 Charlotte Scott - Textile Artist: Learn With Me! I love to teach. It is so uplifting to spread the fun and joy that quilting has brought to me. I remember all the generous teachers I've had who've made my learning a pleasure and because of them, I want to give back to the quilting world. I think it's a privilege to be able to share my knowledge. You can take a class with me to learn new skills or extend skills you already have. I am able to travel and I can also put together custom classes. Please email me for further information. I run a regular, local, beginner course. Classes are two hours per week for six weeks. 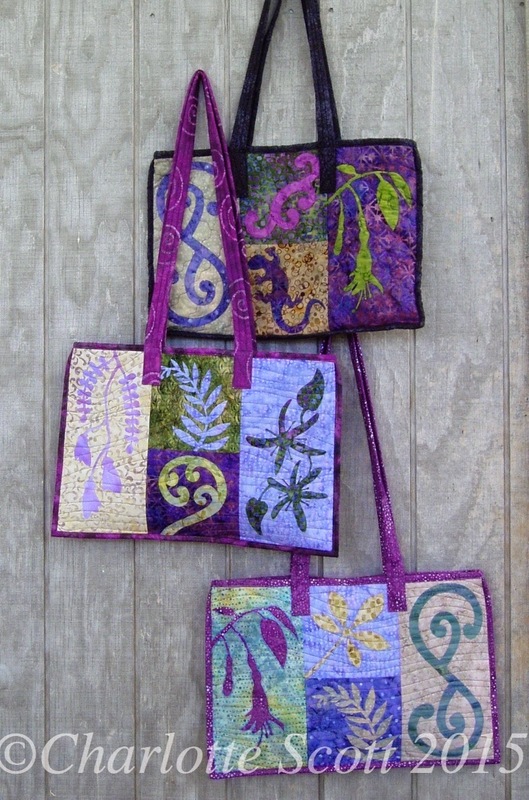 Participants will learn all the skills to construct basic patchwork, including pressing, cutting, piecing and precision. We also cover the finishing skills of quilting and binding. The classes are project based, with the usual format being quilted coasters to start with, a table runner to learn triangles and flying geese blocks and then a small appliqué project if we get time. I also offer one-on-one tuition. This is so much fun because it's all tailored to exactly what you want and need to know or practice. Classes are totally negotiable, so please contact me to discuss your needs. One or Two day class (a two day class will have most people finish their project, whereas a one day class will require finishing at home). 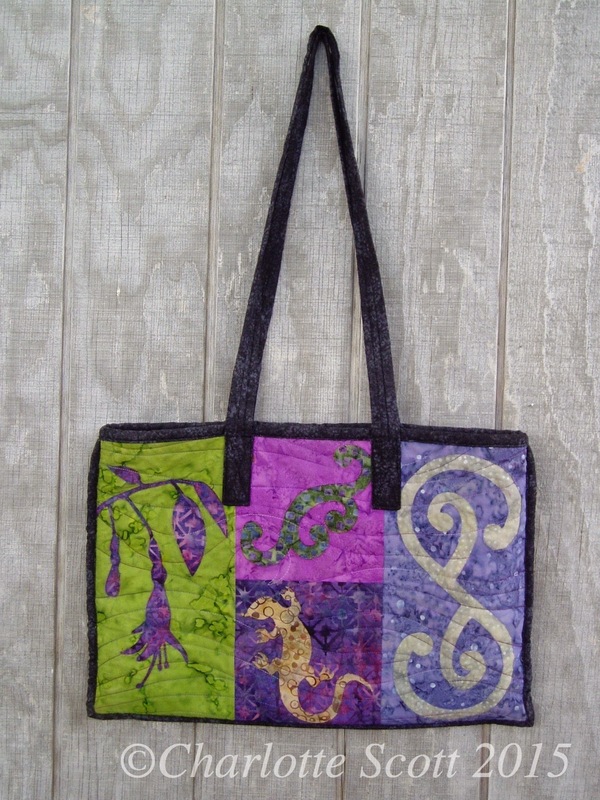 This is a project based class where students will learn the ins and outs of positive/negative appliqué and come away with a funky New Zealand styled tote bag to show for their time. 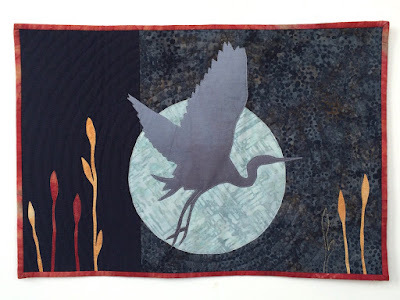 This class includes machine quilting and binding, so plenty of tips and tricks are included to help participants get great results with these skills. Different applique designs will be available for the bag sides so students can customise their own layout, and a full written pattern is included in the cost. Pure fun! Learn the process of low-water immersion dyeing using fibre-reactive dyes. Students will produce beautiful textured colours, with each piece of fabric being completely unique. The workshop will incorporate dye safety, mixing colours, tints and tones, two-colour graduations and basic patterning. 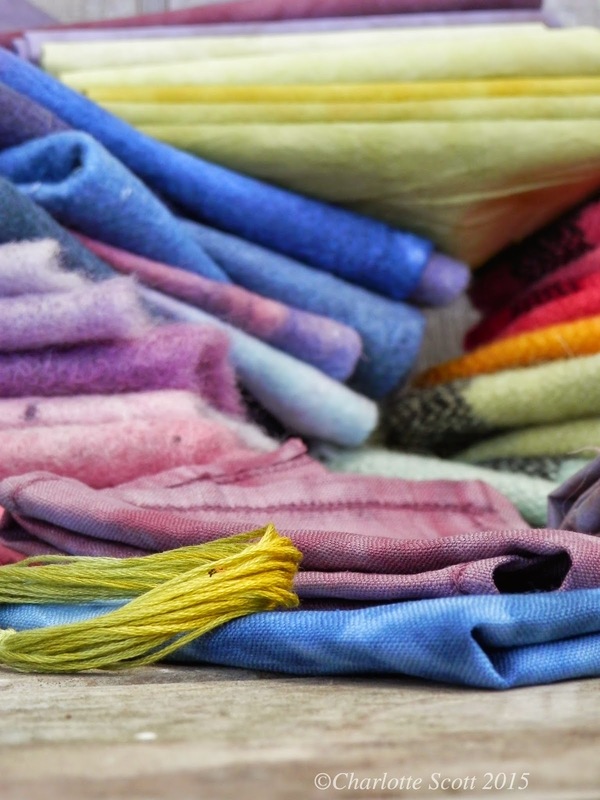 This course will give participants the foundations of fabric dyeing. 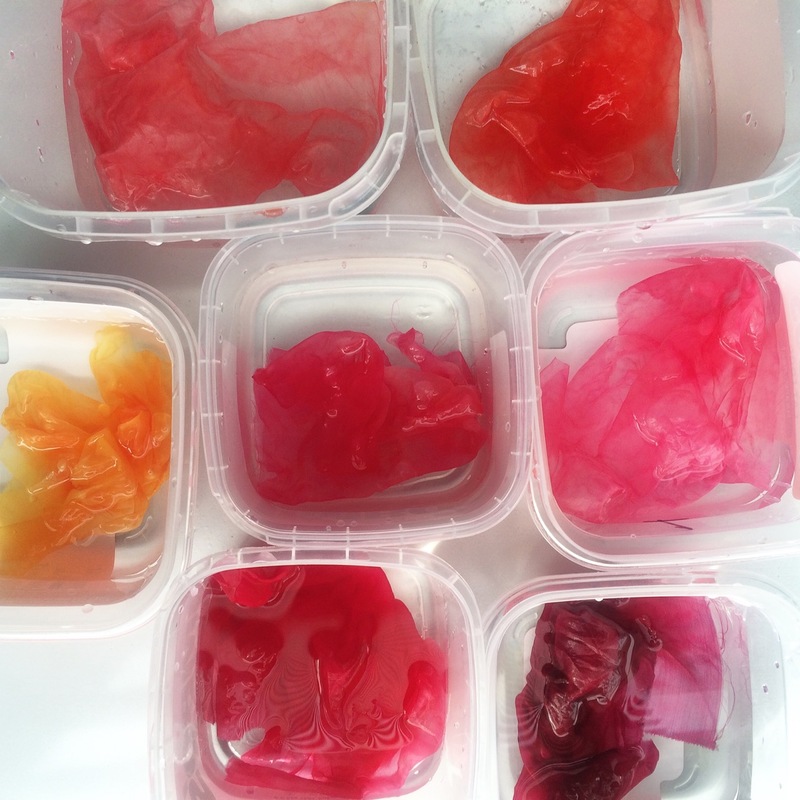 A two day class will explore colour mixing and theory in more depth, and enable experimentation with secondary dyeing - layering a second dye over the top of a first dye. The classroom requires plenty of space, surfaces that are able to be cleaned easily and access to water. Please contact me with any questions. This class is designed for the more traditional quilter who wants to extend their skills into art quilts. Art is all about telling stories, passing on a message, sharing your feelings with the world; and this class will help you take the steps towards achieving that. We will work from your own photographs – no, we won’t be reproducing a photograph in a quilt – instead we will take elements and objects from photos and use them to tell our story. Basic design elements, design principles, and colour theory will be incorporated into the class to help you achieve your vision. Students will work on an A3 sized composition and several small creativity exercises. Mmmm! The luxury of silk organza! Silk organza is the most beautiful fabric to work with. It dyes quickly and wonderfully and then layers to create delightful shades and depth and tones. The first day of this class will be colouring your silk organza using fabric dyes. This is also a basic dyeing lesson, covering safety, dye mixing, colour theory and tints and tones. The second day will be learning to tame those silky sheers into beautiful and colourful quilted composition. I am continually developing new classes and can customise a classes too. Just contact me with your ideas and we can discuss what your needs are. I look forward to working with you!